Silence has prevailed for a few months, the C.R.E.E.R board have been busy with a number of projects for future fundraising. On return from the founder’s visit from Cote d’Ivoire, we rang Nestlé again who were already aware of us, to explain what happened on the trip there. 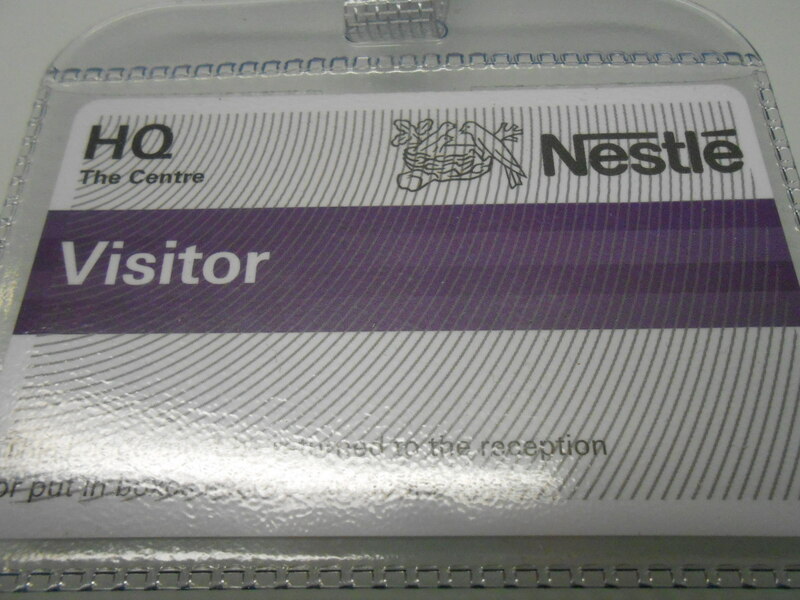 Nestlé invited us to Vevey, their HQ in Switzerland at 10am on 9th July. Train tickets for the Founder & Treasurer were duly booked & a hostel reservation was made. The day of departure, the Treasurer wasn’t well with a bad back that had been a problem over the weekend. 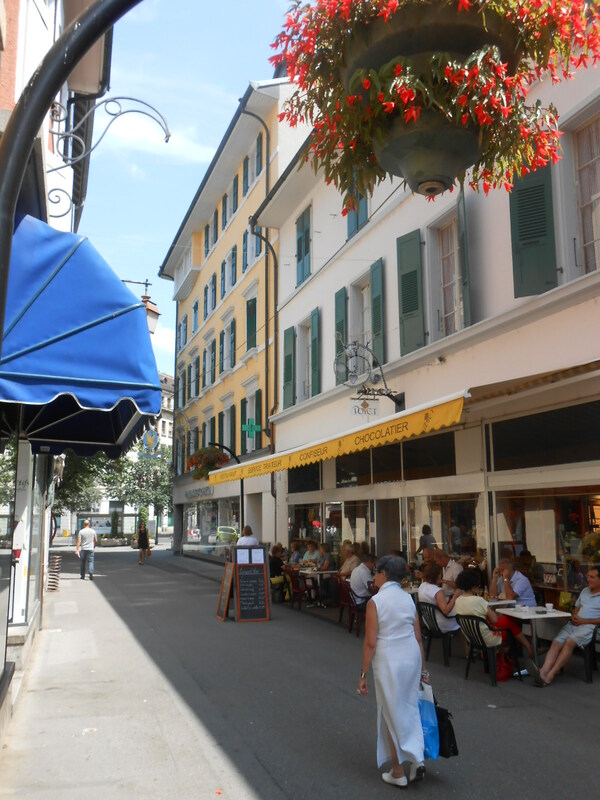 On Monday 8th July, the Founder found herself alone boarding the train to Vevey via Geneva & Nimes. 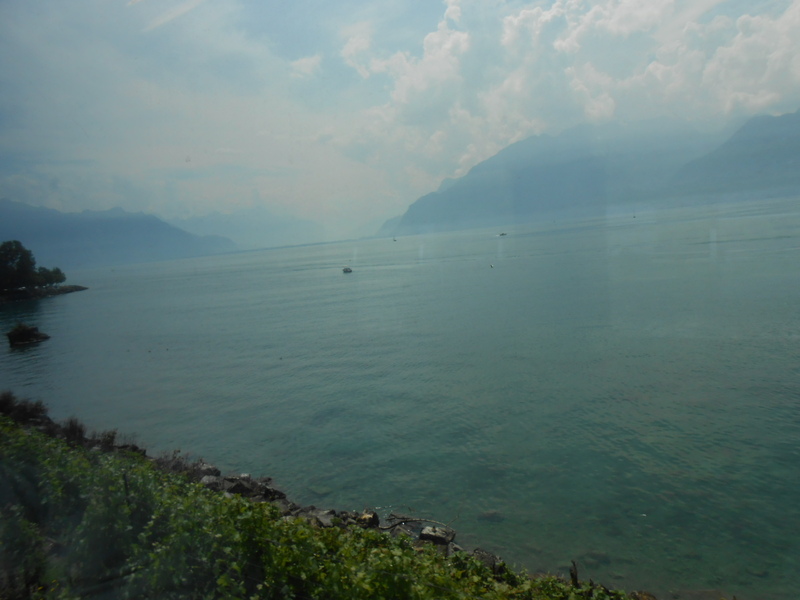 After a long 11hour train trip with 3 changes, Vevey was in sight, a beautiful town on Lake Leman! 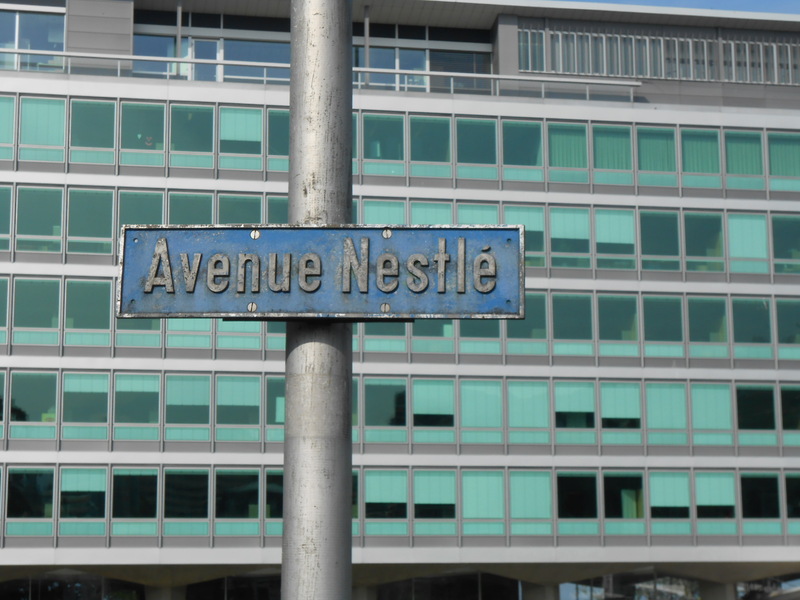 The meeting started at 10am, Nestle has it’s own Avenue in Vevey; a short walk from the lovely ‘Grande Place’. A presentation had already been put together for the meeting with a few extra support letters arriving at the last minute that needed printing out. 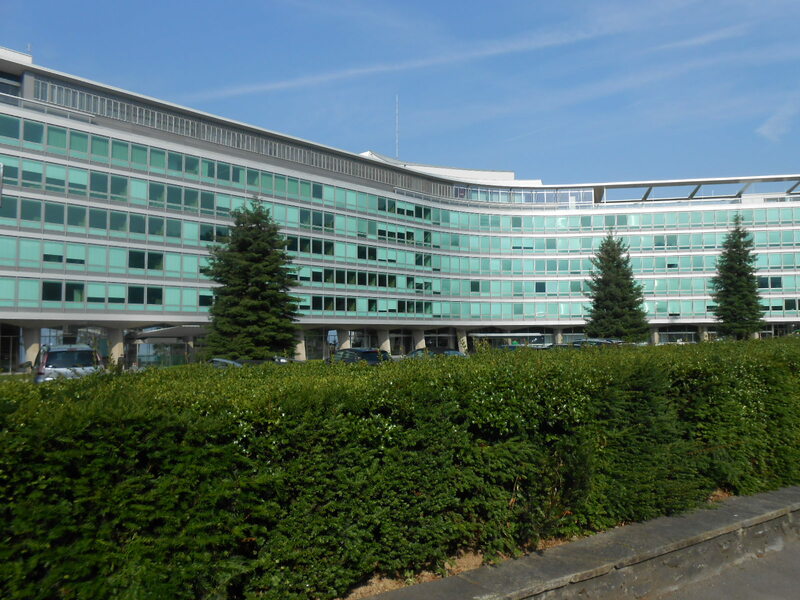 Overall, the meeting went well, C.R.E.E.R is a ‘new’ NGO without a building as yet or children so the fact that Nestle’s door remains open is a positive. However a few questions were puzzling. 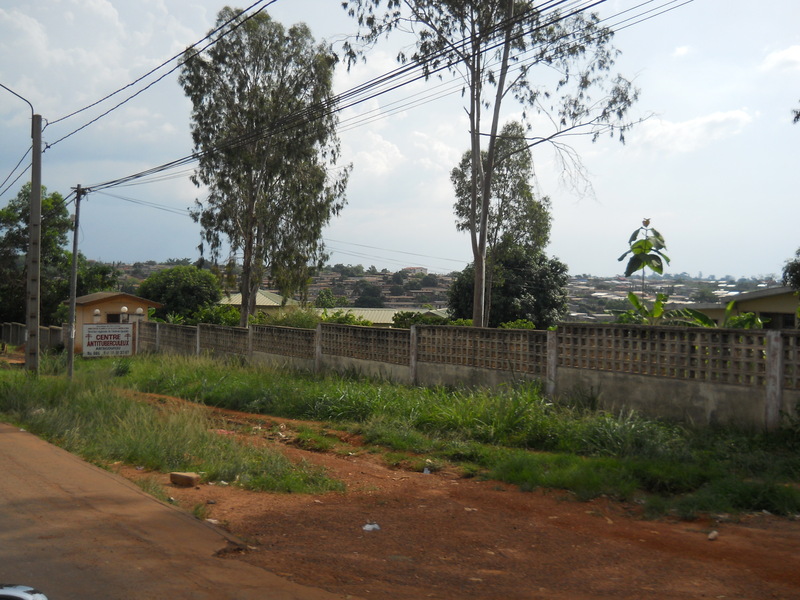 Without wanting to explicity say ‘there are trafficked children on cocoa farms in Cote d’Ivoire (which we are SURE you are aware of)’ there were a few questions that were raised in regards as to ‘where’ the children for the centre would appear from. Surely this is obvious, there are children out there that have runaway from their enslavement and living on the streets. There are children that are arriving at the borders that need specialist assistance & not to be put in an orphanage. There are also those children that may hear of us & come to us. 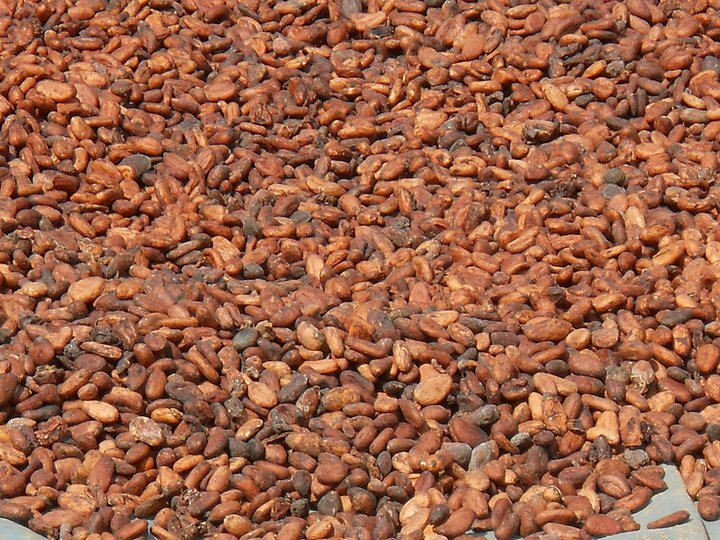 However C.R.E.E.R will not be visiting farms to extract children from cocoa farmers, this would cause chaos! A second issue was the repatriation. C.R.E.E.R will be working with other organisations both on a governmental level & in terms of iNGO’s such as UNICEF, Oxfam etc to ensure that repatriation will give a solid future for each child. Of course we cannot assess & are not ‘gods’ to make the decision for each child but we aren’t prepared to repatriate a child to a home where the family may re-sell that child or they aren’t accepted into the community. Those that ‘can’t’ go home for whatever reason will be offered a place on a long term basis in the centre; but this won’t be our work, it will be the work of external organisations to ensure their future. Another point that was raised was why the government aren’t carrying out this project. It was clearly stated that the government had built two centres for a total cost of US$206,000 & had written about this in the US AID TIP 2013 which they then refused to acknowledge any donations as their trafficking problem would be kept in-house. 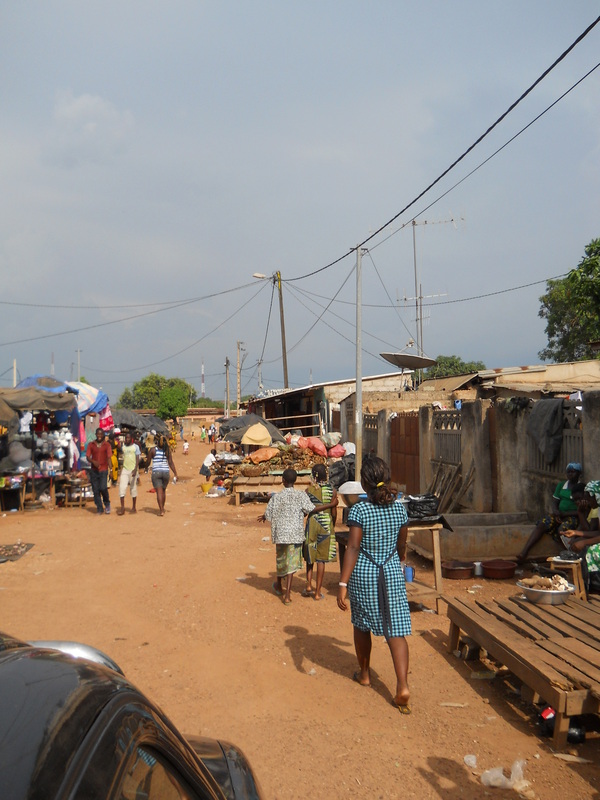 The centre that we visited in 2011 during the crisis was built in a shantytown. It had never been used, it was vandalised, people were squatting on the land with their own buildings … need we go on??? Sorry, but Nestlé, had you done your homework on this? We were touched by the letter from Mr. Outtara, a Director of a governmental agency that we met in Abengourou who strongly wrote in our favour. As well as many other supporters including our US based Ghanaian consultant. 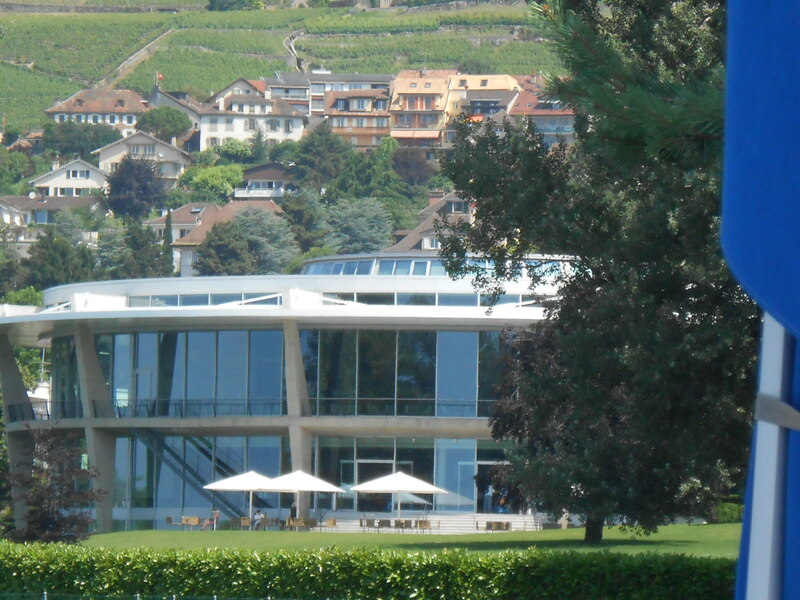 Support from all our followers is still needed to ensure that Nestlé as well as other companies support our mission, that we can get this project off the ground! Thanks for continuing to follow us! Arranging a trip to Cote d’Ivoire via Ghana in under a week is not for the faint-hearted, particularly when your visa for Ghana has expired! This is what happened just prior to Easter. The decision was made by C.R.E.E.R’s board that unless one of the board was on the ground in Cote d’Ivoire, nothing would move forward. The only option due to flights was to go via Accra. Thanks to good friends of C.R.E.E.R’s in London, one of the Founder’s passports was sent in advance to obtain another 2 year multiple entry visa for Ghana, to be issued in 24hours. A quick turnaround in London and landed in Accra on the Wednesday evening. A lot of pleading on the Thursday before Good Friday (a public holiday in Ghana), the Ivorian Embassy went out of their way to assist the passage by bending all the rules. C.R.E.E.R’s founder managed to get a visa in 5hours rather than the normal 3 days due to the exceptional circumstances. Luckily the consul remembered the face having given a visa during the 2010/2011 crisis after much pleading then! Travelling by public transport to the Ghana-Ivorian border at Elubo/Noe on a public holiday is never all that enjoyable especially with an early 5am start! Finally at 7pm (14hrs later) on Good Friday evening C.R.E.E.R was re-united in Bassam with our Ivorian Director, Erick after 2 years of only contact over the internet and phone! After a mere 5 changes of transport to get there in the hot, cramped, uncomfortable conditions West African bush taxis always offer! 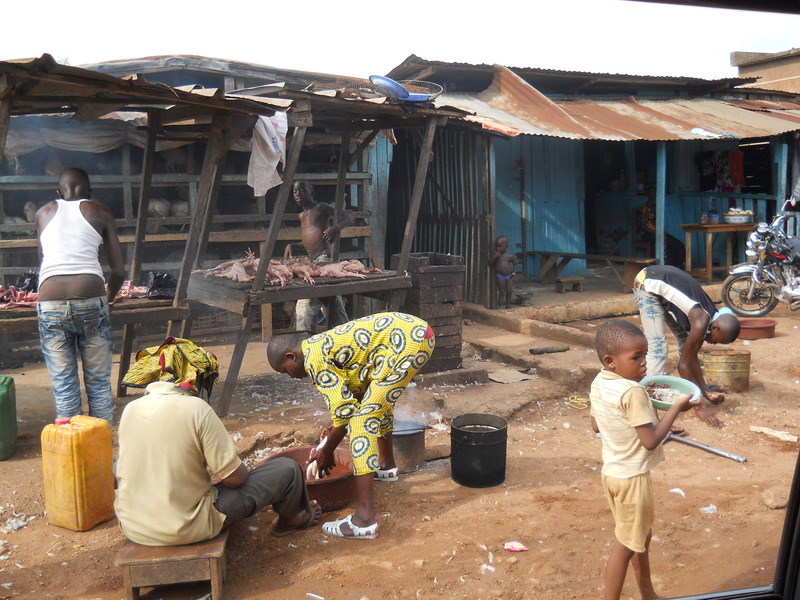 The few long 18+hr days of work started in earnest the next day with a base in the Abobo district of Abidjan. An Ivoirian board meeting didn’t go as planned due to various family commitments but we saw all the board members that Easter weekend around Abidjan. 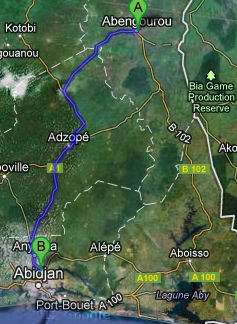 Monday morning; another early start to travel to Abengourou, a mere 193km away, however the road after Adzope is in a bad state. Four hours later, sore from the tightly packed minibus with homemade metal framed seats (& poor padding) we arrived in town. 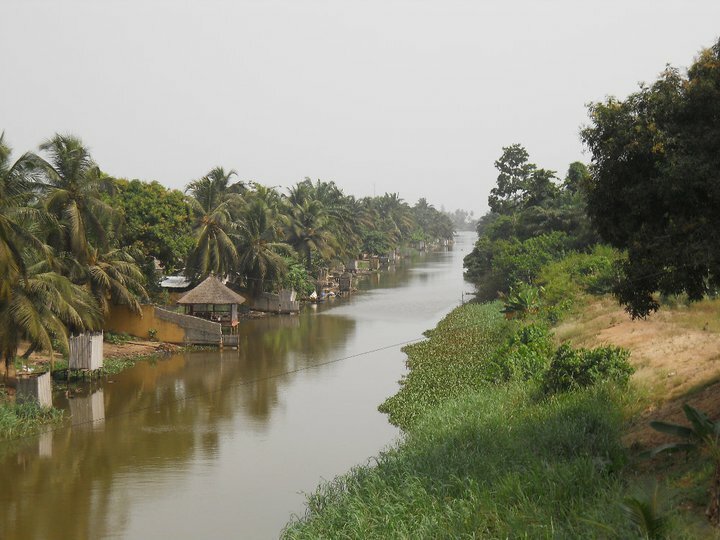 The founder had previously visited Abengourou in 2009 and remembered a few landmarks, but now we had to explore the town thoroughly to see it’s suitability. Erick had carried out a lot of the groundwork for C.R.E.E.R since last seeing him during the Ivorian crisis in January 2011. Our latest news was that King Nanan Boa Kouassi III of Abengourou was willing to donate land to the project; but to move this kind gesture forward our presence was needed on the ground. 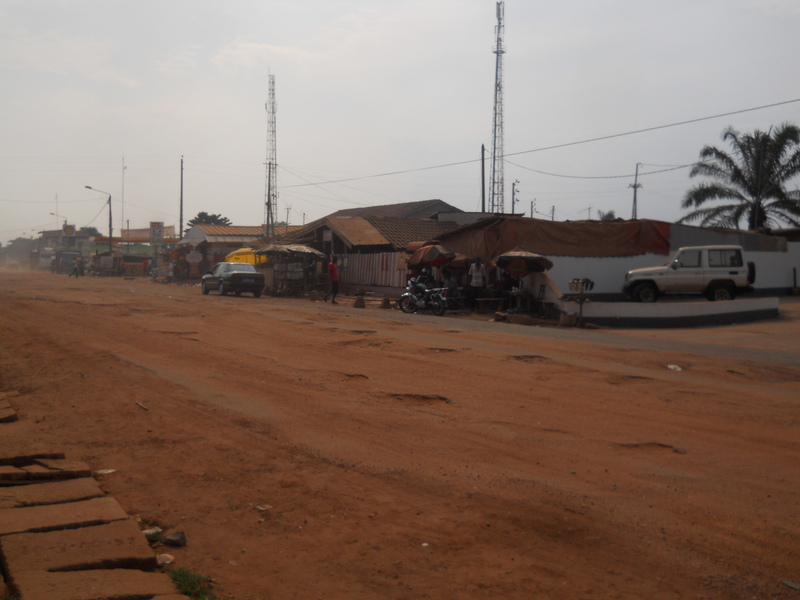 Abengourou is ideally situated for the project, with the border at Niable for Ghana under 20km away. 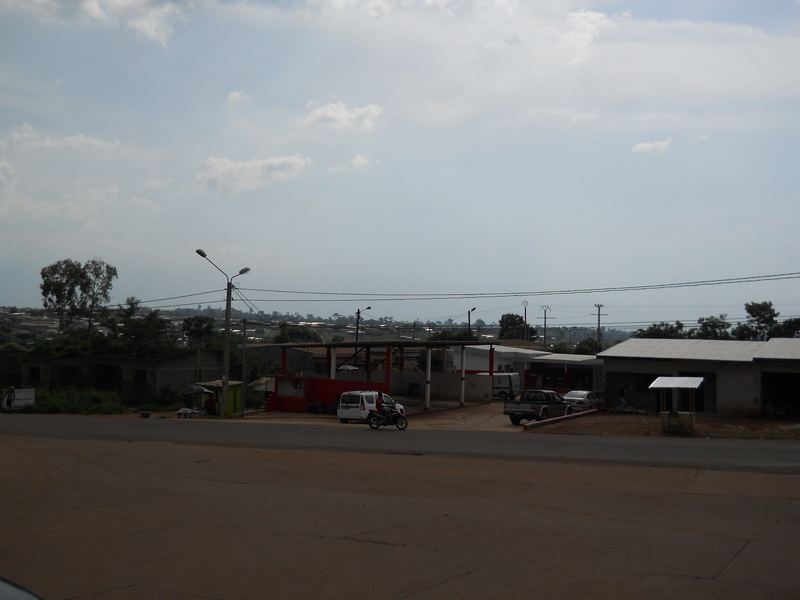 Cote d’Ivoire’s 10th largest town, it has all the facilities that the project needs. 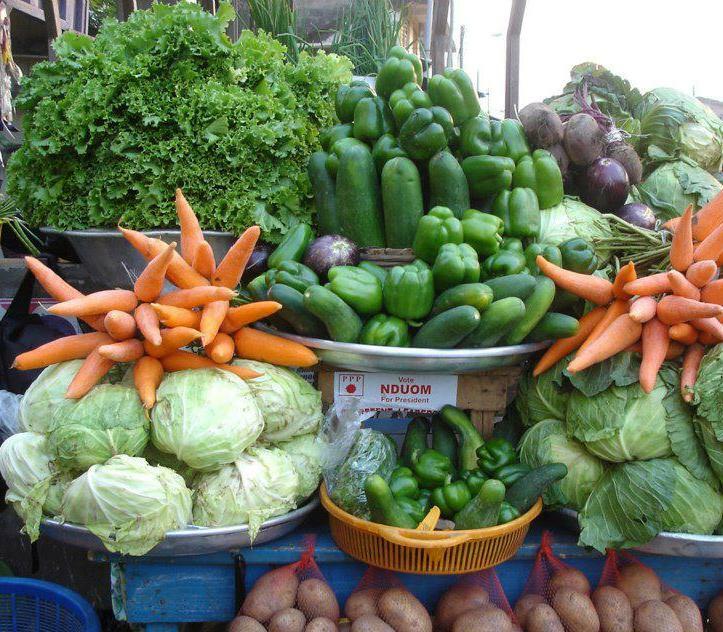 It’s in a region of agriculture including cocoa, rubber & timber. 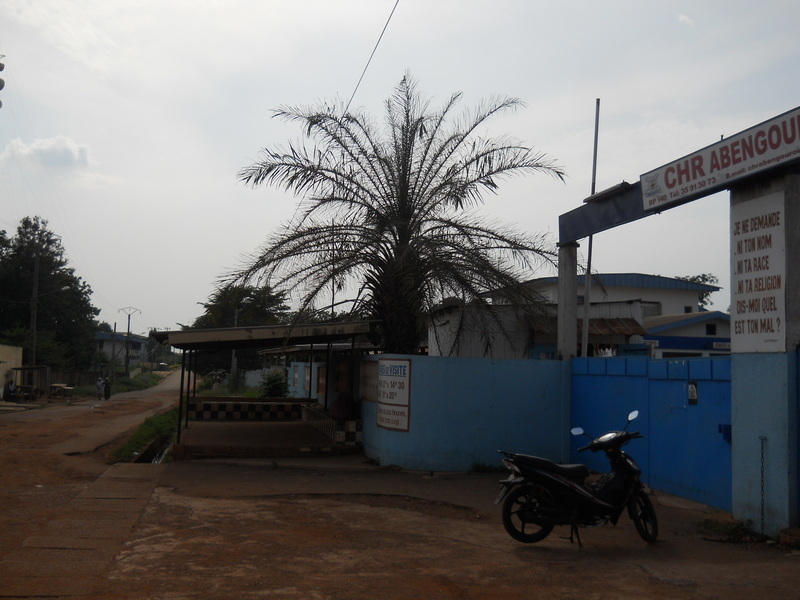 Our first few hours in town we got our bearings & immediately went to the hospital, Centre Hopitalier Regionale d’Abengourou to see the facilities and find a competent professional to join the team part-time. We met with Sylvie, a nurse, who was very interested in the project for Abengourou and agreed with us to work on a contractual basis. When we’re operational she will work with the centre, visiting on a fortnightly basis to check the children and advise on medical and dietary matters. Tuesday morning dawned; Abengourou was suffering from a power cut so sleeping past 5.30am was impossible with the hotel room’s fan not working, a ‘mere’ 35 degrees by 8.30am! We headed out to firstly visit our bank in town to start organising an account; quickly followed by a visit to the post office to enquire about a postal box. We were expected by the King at the Royal Court at 10am. However, his adviser sent us to the Director of Youth, Sport & Leisure who gave us an in-depth interview about the project, Erick had already been through this on a previous visit. They were alarmed by the story of ‘Zoe’s Ark’ they quizzed us at length to ensure our suitability. It was reassuring that they were taking C.R.E.E.R seriously and weren’t leaving any stone unturned! Returning to the Royal Court, we sat with the notability; the King spoke through his spokesman to fully agree the project. 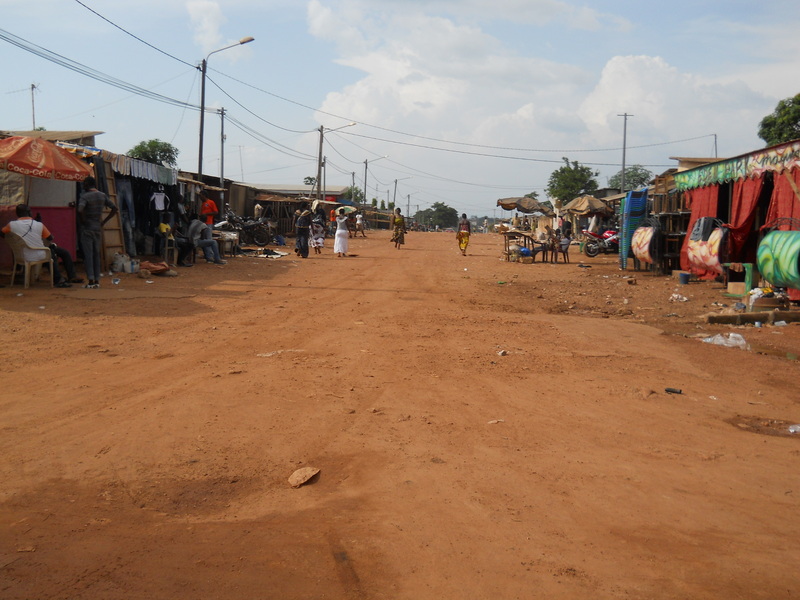 He granted us our land and our presence in Abengourou to help street children, some of which are trafficking victims. Elated, we departed for a late lunch prior to returning to the long road back to Abidjan! None of this would have been achieved without Erick’s hard work, his friend Charlemagne & Mamy, the King’s niece facilitating for C.R.E.E.R. 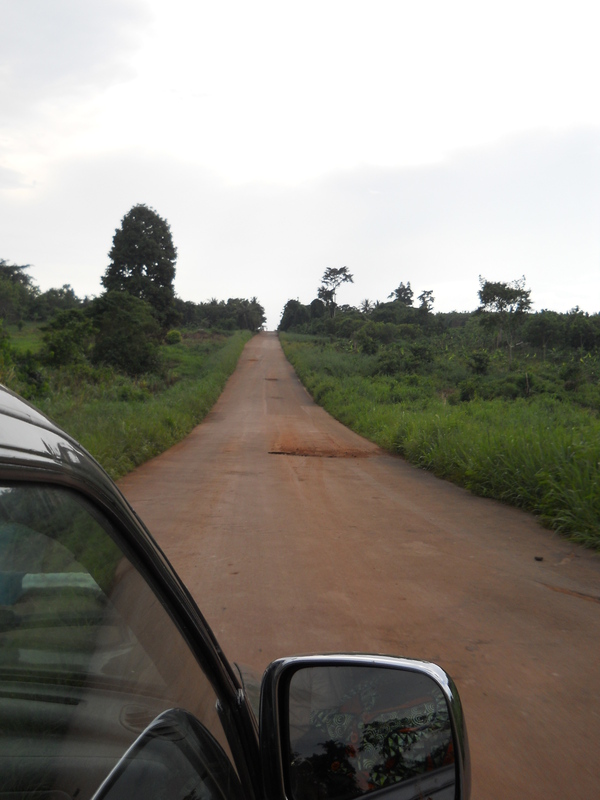 Another long afternoon on the road in Charlemagne’s car; the Founder arrived in Grand Bassam at 10.30pm due to the roads and traffic! Wednesday was due to be the day of departure to return to Accra but it wasn’t to be. Our NGO paperwork has been in order & many NGO’s work with the paperwork we had but there was one final formality that hadn’t moved forward & had to be organised prior to departure. Our paperwork had been sitting at the police station for 18months which wasn’t ideal considering Erick had made many trips to prompt the police to move it forward. Despite a call a few days earlier to inform the police we wanted a meeting, our presence was a revelation to them at 8am. We were told to return later in the morning; we duly took our place in an office at 10am to find that all our files on their computers had ‘vanished’ and it all had to be typed from scratch again. Frustration!!! After 4hours of sitting tight to ensure the papers were finally printed and sent to the correct office; the return journey to Accra was in sight, but for the following morning … Another early start at 4am to cross the border as it opened! 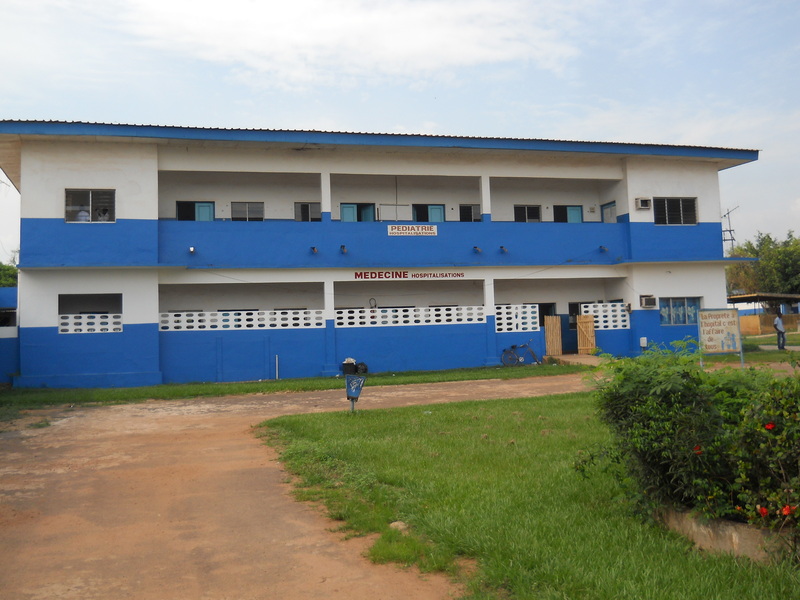 Thrilled that C.R.E.E.R finally has a home in Cote d’Ivoire with a town that has welcomed us and wanting to work with us! It couldn’t have been a better trip! 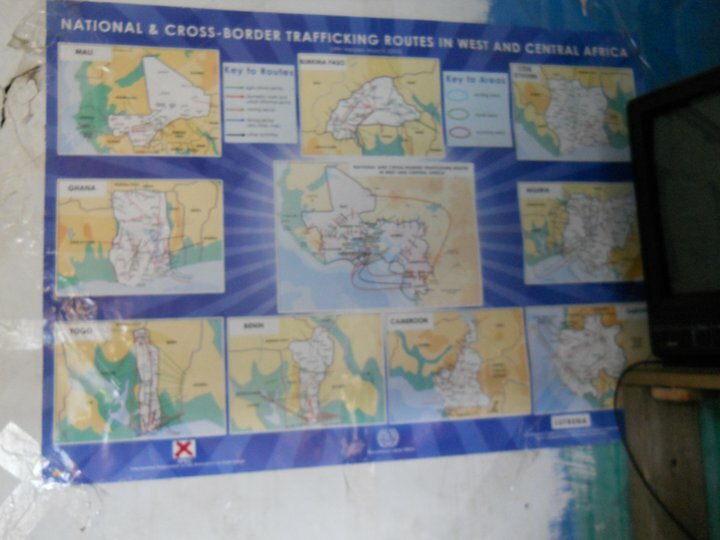 It’s been mentioned before, there isn’t a centre in the sub-region of West Africa that solely caters for trafficked children. Please search google; we cannot find much about what is happening to the trafficked children, but lots of advocacy about them. Very little action. Due to ‘M’ the little girl who was found on the beach; C.R.E.E.R was created as we recognised her needs and those of many children that have been trafficked into slavery. They go to orphanages, who don’t have the specialist needs to cater for the emotional needs of the children. Those are the lucky ones, others are living in the streets having escaped but lost as to where to call ‘home’ having travelled many miles with their trafficker. Without money to return home, scared of adults who may return them to their lives of slavery; they live in the streets living on the scraps they can find. 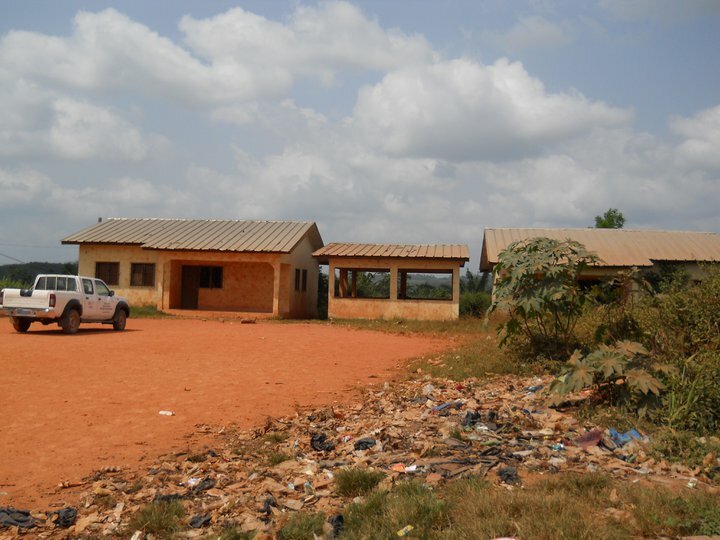 We’ve always stuck by our claim that we’re the first residential centre offering rehabilitation, education and vocational skills in West Africa to be created solely for trafficked children; until this week! A few days ago we came across another centre. Not entirely the same but not entirely different. During a phone call to their offices, there were a lot of similarities. They cater for children from Lake Volta in Ghana who are trafficked to work in the fishing industry. 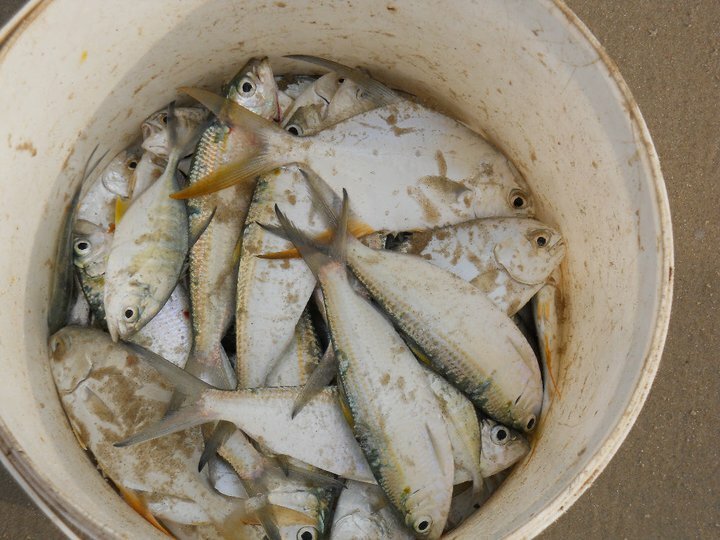 Most of the fish isn’t exported so there’s not so much advocacy about it as there is with cocoa production, domestic servitude or prostitution; where the majority of C.R.E.E.R’s future generation are expected to come from. 1. 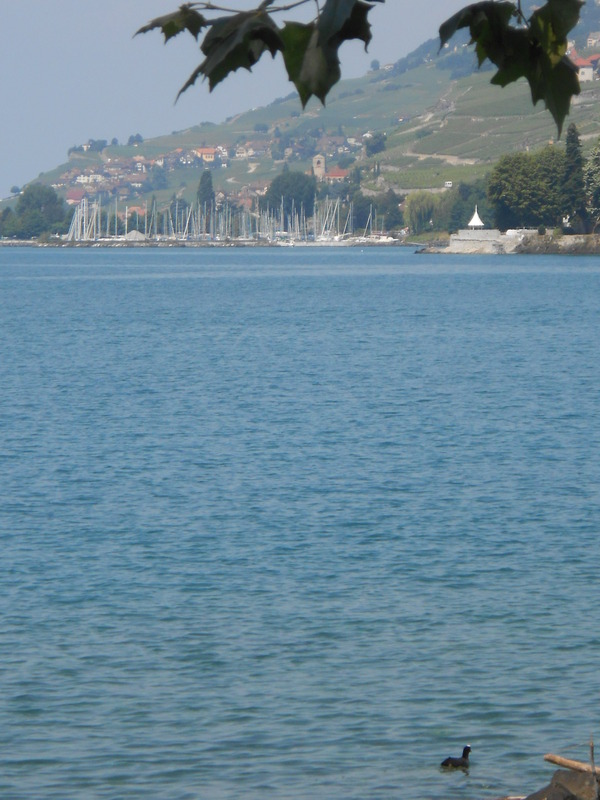 No one else has a centre in the region, they believe they are the first, although they are mainly working with children from the lake. 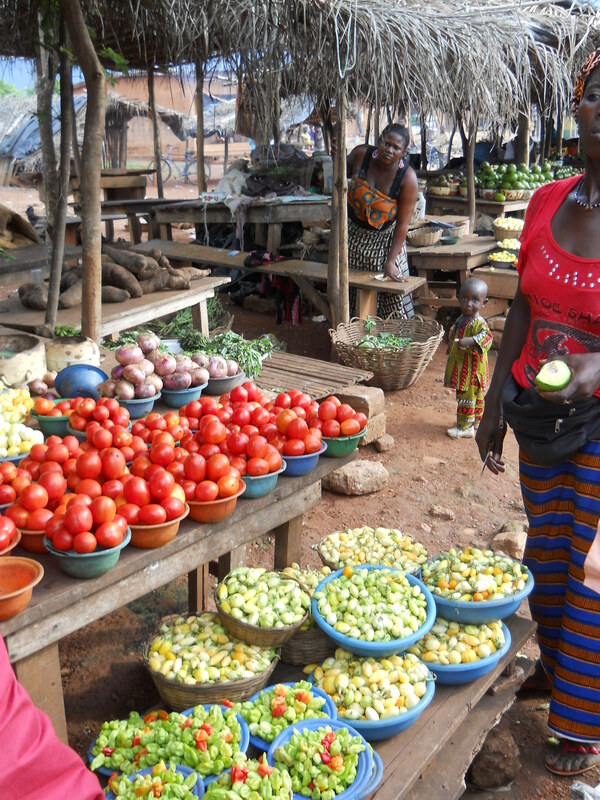 We are now the second in the West African sub-region. 2. It took them over 18 months to obtain their land; they also experienced endless meetings, false promises and wild goose chases. However, we no longer feel as if we’re scraping in the dark with a speck of light at the end of a long tunnel. Their organisation is going from strength to strength; there are facets that we would like to introduce at C.R.E.E.R particularly their art therapy. So, advocacy is all very well, but action is needed too. We need more help to make our centre a reality & gain action from committed individuals to help fundraise!